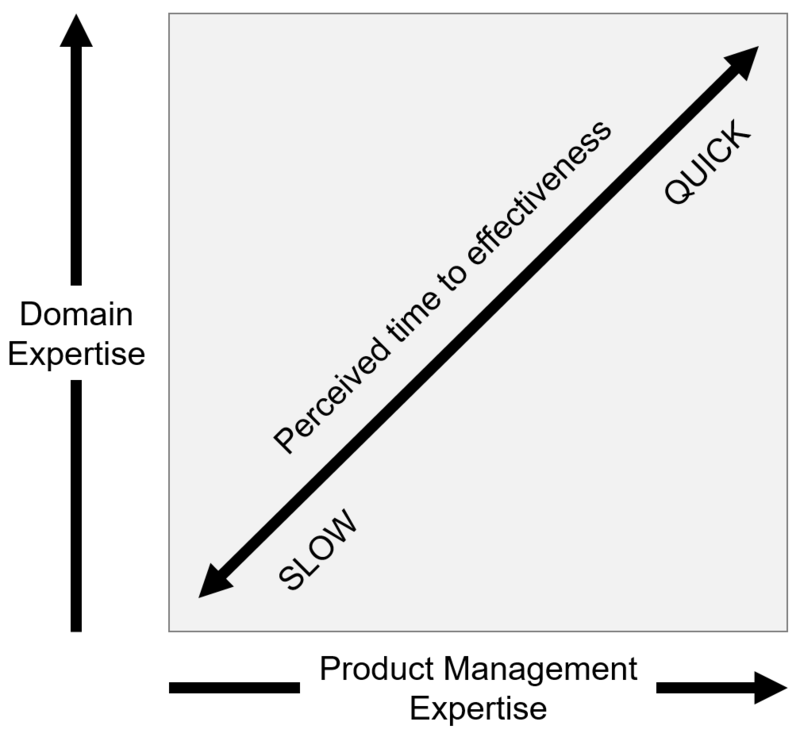 Product managers operate in the gap between product vision and reality. You’re asked to create a strategy and roadmap for your product, setting future expectations across a broad community including customers, sales, and engineering. Do your job correctly and everyone is energized with a bright product vision. But what about the inevitable inaccuracies in your forecast? Product strategy involves forecasting where your market, customers, and products will be over time. The product roadmap is a forecast of how you will execute on the strategy, including assumptions of pricing, use cases, and development velocity. Get any of these substantially wrong and the strategy will fail. Everyone recognizes that forecasts have inherent inaccuracies. The product manager is responsible for addressing subjective questions of acceptable risk and forecasting. And here’s the rub: who’s to say what is overly aggressive? We’ve all seen situations of overpromising and under delivering. Being too conservative creates grave disappointments as well. It’s too easy to allow wildly optimistic assumptions to guide strategy and roadmap by saying that all forecasts are inaccurate, so we’ll figure it out later. Early in my product management career, I experienced the personal discomfort of defending the indefensible and watching customers, sales, and engineering become disillusioned when the inevitable shortfalls became apparent. Those situations taught me to push back on glaring inconsistencies and force conversations on what is plausible versus fantasy. Though requiring more effort up-front, this approach builds trust with your community and allows your organization to focus its resources where they can truly succeed instead of being spread too thin. Here are a couple of real situations which can be related to many IT products where I took my earlier learnings and influenced defensible product plans. “We need to support three more storage arrays and two more versions of Linux in the next release.” Platform support is the gift that keeps on costing: more development, more QA, more equipment, more dependencies across third-party products and versions. With every new customer interaction, your organization will be tempted to support new platforms and interfaces. Unchecked, the situation will deteriorate into disappointing product quality, longer execution, and unfulfilled customer expectations. The product manager needs to be brutally analytical in identifying what platforms will truly move the business and be prepared to decline some business opportunities to strengthen her core market. The specifics vary substantially by circumstance, so there’s no formula to follow. I’ve stood my ground with senior executives, account teams, and customers to ensure we supported platforms that are sustainable and that maximize revenue in our target markets. Doing this requires accurate data on adoption rates, use cases, and competitiveness in target markets. In one particular case, a CTO lobbied aggressively to support a platform for a market we were poorly prepared to serve. I pushed back by showing the totality of what would be required to win such business at scale. We ended up serving that market, albeit later on, with an existing platform that played to more of our overall strengths. “Let’s accelerate a release for our large customer in May, then do a summer release with the features we’re announcing at the tradeshow, and deliver the rest of the originally planned features in the fall.” Agile development processes may enable a faster release cadence versus waterfall. Your team may be faster than others. But light only travels so fast and you’ll eventually hit a wall trying to deliver too much too quickly. Quality and customer satisfaction will suffer. Though it’s good to be aggressive, setting your business on a path you know can’t work is indefensible. The product manager has an obligation to speak up during release planning meetings and dig deeper on the assumptions and dependencies driving what appear to be overly optimistic plans. I’ve presented our agreed priorities to my business’ leaders and restarted conversations about what we’re willing to trade off to increase success in core business goals. It’s far better to have a frank conversation now than to run out the clock with unhappy customers and a wrecked roadmap later. The last time this happened, we went back to the large customer, negotiated a phased delivery that aligned with our broader business goals, and consolidated into fewer releases we could execute on. We didn’t get everything that everyone wanted, but we kept the customer in the boat and met our announcement commitments. We managed the impact proactively. If you’re like me, you want to solve people’s meaningful IT problems and make them successful – “yes, we can do that!” Remember that success ultimately lies in delivering a solution versus the initial euphoria of delivering a roadmap promise. Ensure your team is defending only what is defensible. While the product manager needs to take risks involving imperfect forecasts, she’ll maximize her success by questioning glaring inconsistencies and unlikely dependencies to build and execute a defensible product plan. Whether I’m managing a multi-billion-dollar product line, a pre-revenue startup product, or something in-between, customers expect me to have a vision for our intertwined future. Customers evaluate vendors on their innovation and technical leadership. Engineering and others within my company also expect and deserve a clear view of where we are going. It’s easy for the product manager to remain fixated on the next year. What product releases are planned? What use cases will drive sales this year? Five-year visions are great, but we need to pay the bills now. Poor excuses. A product without vision fails to energize. Engineers want to innovate. Customers want their product investment leading toward a better IT future. Press and analysts become indifferent to mature technology. A “meh” product attitude makes everyone nervous by risking competitive disruption, employee turnover, and tepid growth. Defining product vision is a core product management responsibility, though not done in isolation. I work with my CTO and other constituents including customers, engineering, and sales. The CTO, in particular, checks my blind spots through awareness of emerging technologies that may disrupt my market or expand my product into new adjacencies. I start by asking myself what story I want to tell to in five years – the impact I want to look back and say we delivered to a specific group of people. I don’t want to talk about saving 10% on operating costs. Or making my product more scalable. Sure, these are reasonable product release goals, but they don’t speak to a basic meaning of why we’re building products. Instead, I want to achieve fundamental change in how individuals succeed in their professional lives. For example: before, Sarah was stuck in a tedious job trying to keep up with an ever increasing load of IT problems. Now, she is the architect for IT systems that proactively dispense tailored services for her user community. Simon Sinek does a great job articulating what energizes us: “People don’t buy what you do, people buy why you do it.” I remember Simon’s thesis when setting the five-year roadmap: my product needs a why. More specifically, I want to offer a fundamental personal benefit that was previously unattainable or impractical. A skeptic may say that my goal is ridiculous – my chosen industry is information technology, not improving medical care or education around the world. IT professionals typically work in clean, air-conditioned offices and go home (most) nights to a comfortable home. Yet they have aspirations and burdens like everyone else. Try to schedule lunch with a friend who works in IT. There’s an even chance he’ll reschedule at the last minute because an emergency came up. Or your other friend won’t be able to take a long vacation because that’s when a critical change window is scheduled and no one is sure how long the system upgrade will take. Product managers for IT products can benefit users when we make their jobs easier and more rewarding by helping meet their professional goals. Software Defined Networking came about, in part, to address the insane complexity of deploying and managing data center networks. Hypervisors made deploying new services far easier by converting physical boxes to virtualized software servers. Linux containers now promise to simplify software packaging and deployment for developers who want to finish their projects. IT is moving to a self-service consumption model, with huge impact for IT professionals and products alike. If you believe the future success of IT professionals is as facilitators rather than gatekeepers, consider how your product will enable users to successfully manage that transition. Virtual machines increased application density by an order of magnitude. IT products built for the pre-hypervisor world were largely replaced by virtualization-optimized successors. The industry is now on the cusp of another dramatic density increase courtesy of Linux containers. How will your users be affected by these changes? Surely there are opportunities to make IT professionals successful in the long-term adoption of containers. The revolution in large-scale data analysis not only improves business decisions; it alters relationships and roles within IT. Data is democratized and the insights they bring are accessible to a broader community than ever before. Users and products organized around limited access to information are destined to change. Better to lead that change along with your users. The five-year roadmap doesn’t require you to invent a whole new industry. These examples illustrate the opportunity to address foreseeable changes from the user’s perspective. Channeling Simon Sinek – ask yourself why you come to work every day. That reason should be inextricably linked to your five-year roadmap. Knowing how I’m making a positive difference in people’s professional lives forms my answer.